Hello my lovelies! The holidays are upon us and for many of us, so is Old Man Winter. Are you staying warm? We’re getting a blast of winter weather here in Arkansas and schools are planning to be closed tomorrow. Milk and bread are all bought up at the stores as families plan on being locked in by ice. I plan on cuddling up with hubby and sipping on hot cinnamon cocoa. How about you? There has been quite a bit going on in my writing world, I’ll fill you in below in the Announcements section. But right now I want to give a big warm welcome to all our new followers. I hope you enjoy the updates and information on the Cornerstone Deep, Kami, and Aumelan series I share via newsletter. So, without further ado, I’ll get to the updates. We had a fantastic response to the Echoes Book Blast arranged by my assistant, Carla Gallway at Book Monster Promotions, and there are winners that need to be announced. What’s a box set? It’s a group of stories (like an anthology) or books put together to make one big book of awesomeness! 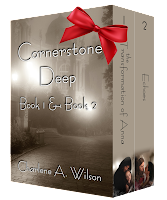 That’s right, books one and two of Cornerstone Deep, The Transformation of Anna and Echoes are together in one e-book file! And they’re set at a Special Holiday Price! (Wow, so many exclamations in on paragraph! LOL But it’s exciting!!!) This special compilation is nearly 500 electronic pages. No abridgment to the story, it contains the two books in their entirety for only $3.99. For those of you who want the feel of a real book in your hands, don’t worry. I’m offering a Special Holiday Price for you too! You can get both books at a Two for $20 deal! (plus shipping) And I’ll sign and tie them with a red ribbon, wrapping them in love. *smile* Order now to get them by Christmas! 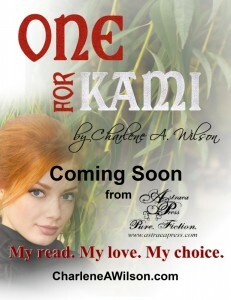 One for Kami will be released on January 7th and Carla is setting up another great Book Blast to introduce the beautiful new cover and story to the world. A special blog tour is in the works that will build up to Valentine’s Day so look forward to that too! 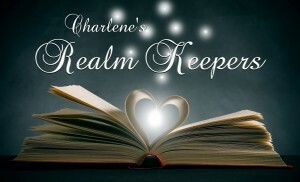 Charlene’s Realm Keepers are spreading the news about my books and announcements! If you’d love to be a part of this amazing group and have chances to win SWAG, Chocolates, T-Shirts, and more, hop over to https://www.facebook.com/groups/RealmKeepers/ and join. We’d love to have you! I’m proud to be hostess to such an array of talented authors. From inspirational to fantasy, and everything in between, we’ve got it. The spotlight is warmed up and ready to feature them for you. 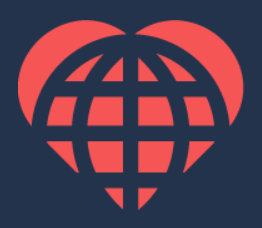 Submissions for Traditional week-long features are OPEN. H.A. Special Interest submissions are OPEN. New feature formats are available! Get the details on Highlighted Author’s Guidelines Page. The Year In Review is fast approaching, where all the Features and Spotlights are in the running for free promo. The top five most popular posts from Home Page and H.A. Special Interest will win placement on the Highlighted Author sidebars! Spread the word and get your favorites seen!